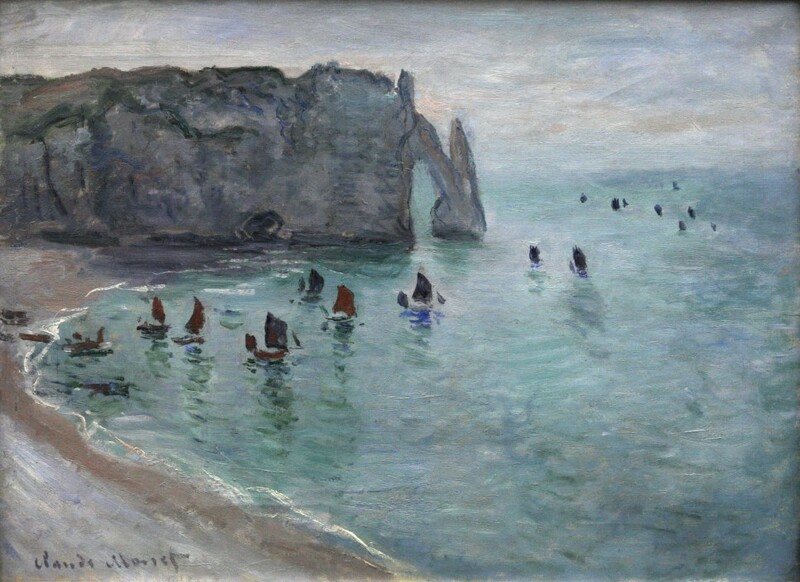 Étretat is the magical place which breathes life into the paintings of Édouard Manet & Claude Monet who tried to capture the beauty of this place. 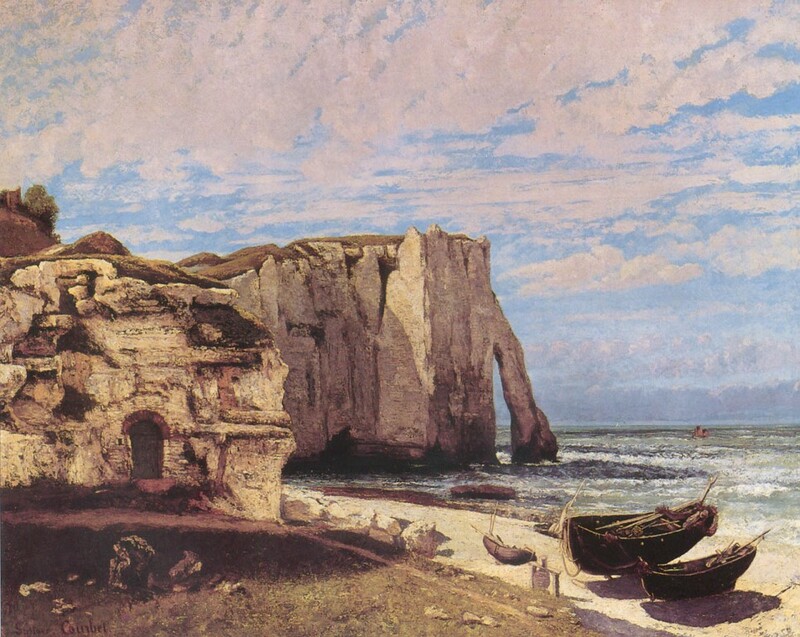 Étretat is a commune in the Seine-Maritime department in Normandy in north-western France. 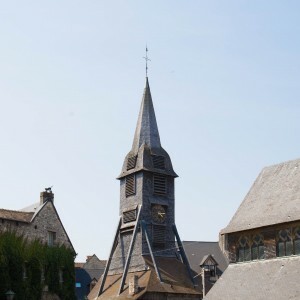 It is a tourist and farming town situated about 32 km north-east of Le Havre. ※ Since there are not many buses, it is good to know the operating time in advance. It would take you roughly 3-4 hours to get here from Paris but it would be totally worth it. 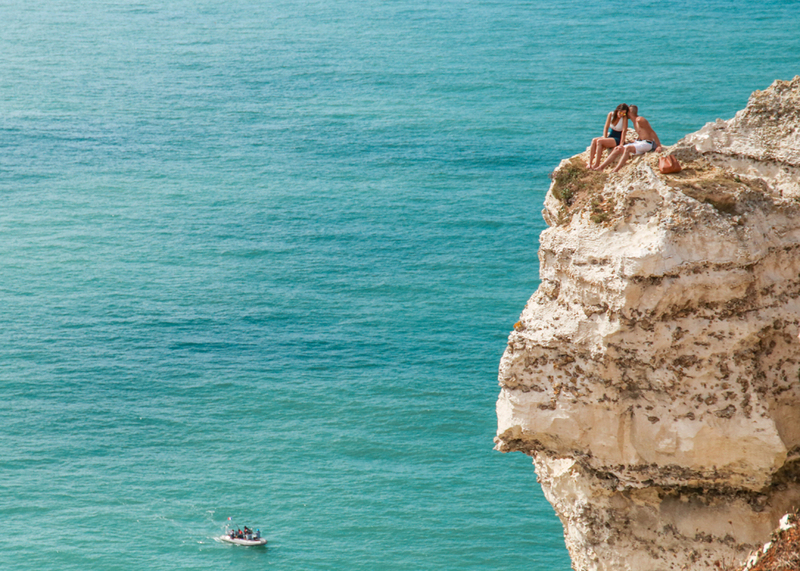 With views that you could never possibly get enough of and the fresh salty air, Étretat's picturesque locations will certainly make your trip Instagram worthy. 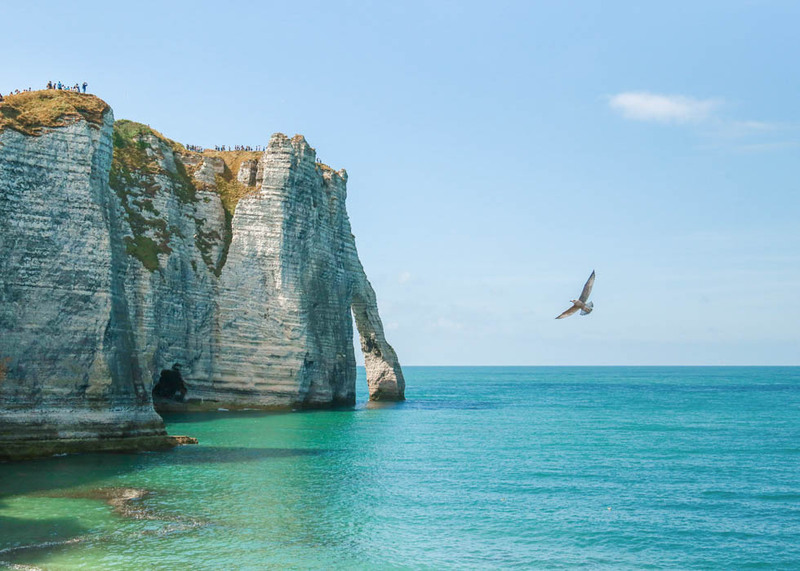 Étretat is best known for its chalk cliffs, including three natural arches and a pointed formation called L'Aiguille or the Needle, which rises 70 meters above the sea. Two of the three famous arches are visible from the town, the Porte d'Aval, and the Porte d'Amont. The Manneporte is the third and the biggest one, and cannot be seen from the town. This is a perfect place if you are planning to hike or just have a lazy day at the beach watching the sunset. In addition to the people who came here as tourists, you will also spot people fishing or enjoying a picnic. 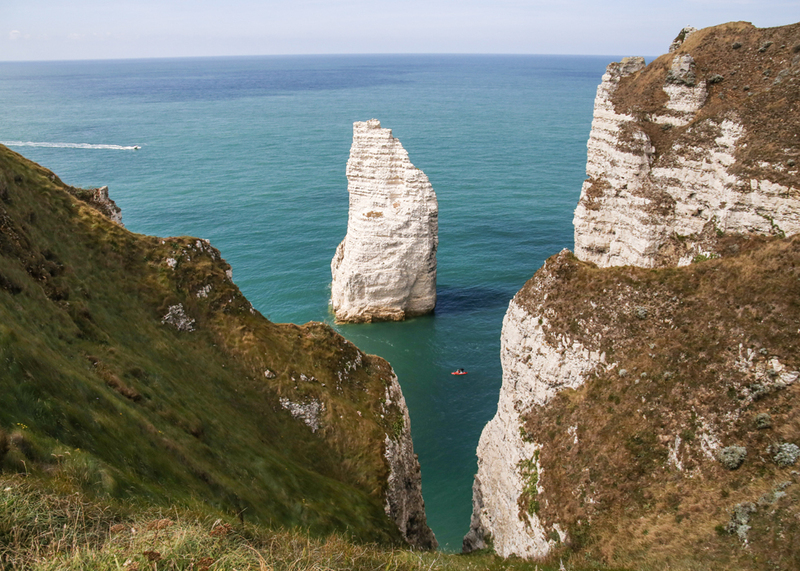 You can also enjoy hiking from Étretat to Fécamp. The route is called G21 and the long chalky cliffs elevate up to 104m above sea level. The panoramic landscape, the waves, the seagulls and the salty sea breeze, what could be a better way to enjoy a rejuvenating week. 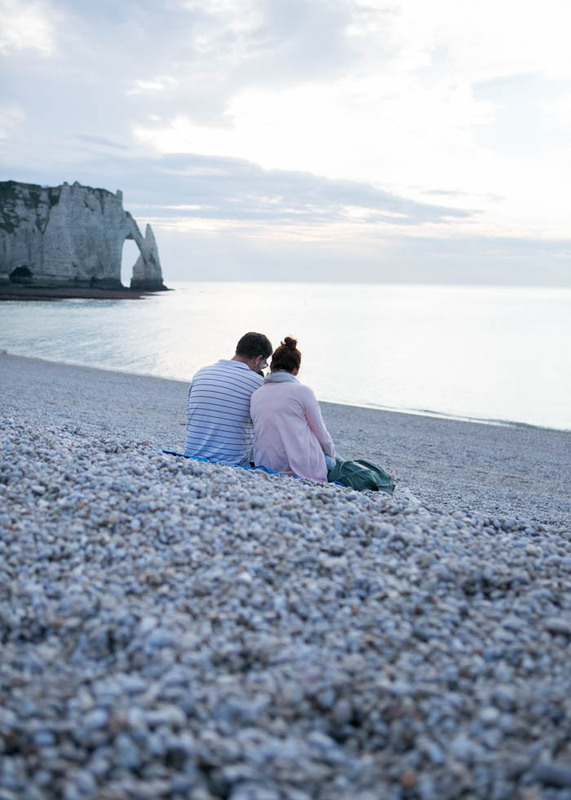 There are also many couples visiting Étretat to have a peaceful and special time between them. Étretat is also known for being the last place in France from which the 1927 biplane The White Bird (L'Oiseau Blanc) was seen. French World War I war heroes Charles Nungesser and François Coli were attempting to make the first non-stop flight from Paris to New York City, but after the plane's 8 May 1927 departure, it disappeared somewhere over the Atlantic. It is considered one of the great unexplained mysteries of aviation. A monument to the flight was established in Étretat, but destroyed during World War II, during the German occupation. A new and taller monument was constructed in 1963, along with a nearby museum. 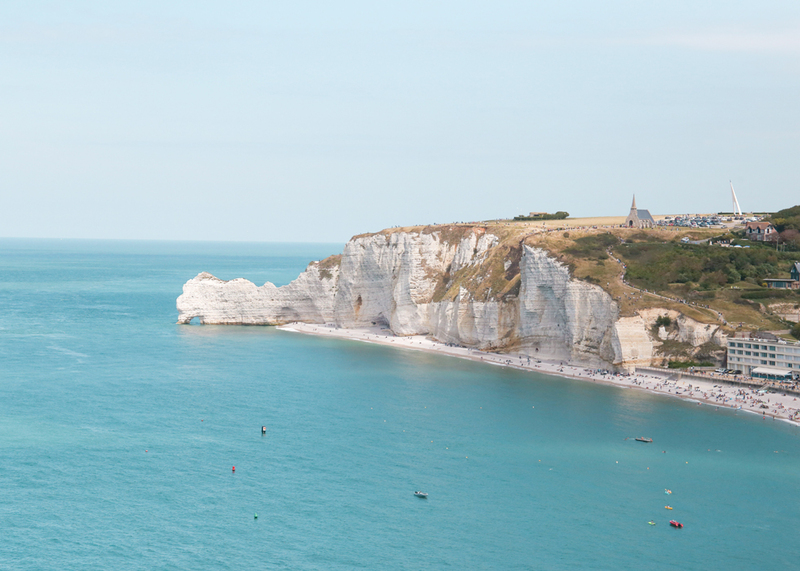 After exploring Étretat, you should enjoy food here too. 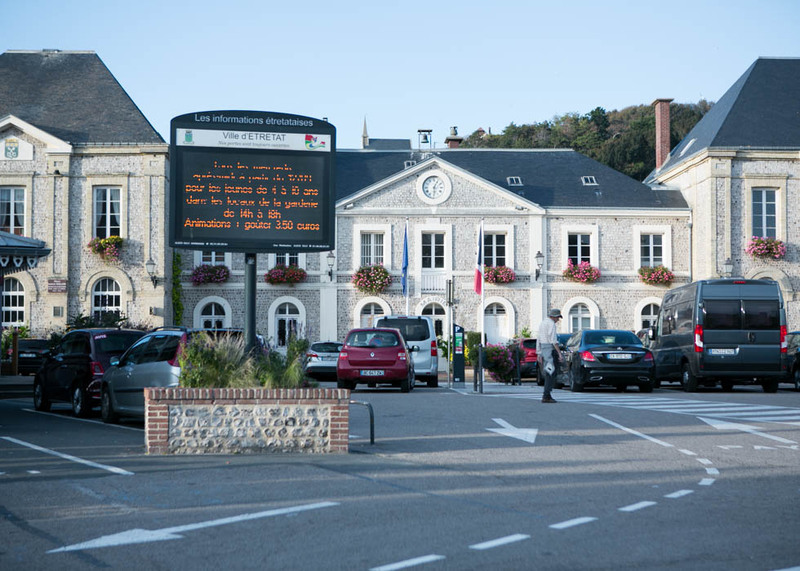 Since it's close to the sea in Normandy, you can have a fresh seafood in many restaurants. 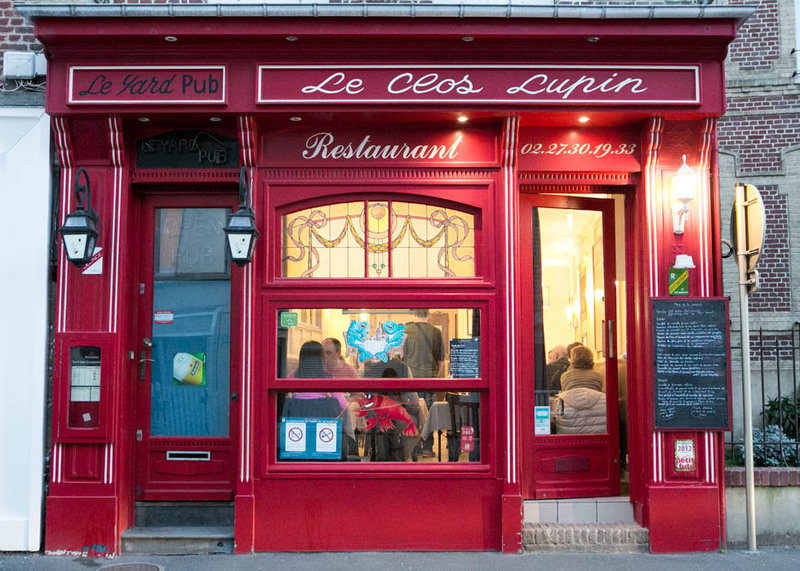 Le Clos Lupin is one of the most popular restaurant in Étretat and they propose different menues in each week depending on season. Many people enjoys with wines depend on the dishes. And there is no menu card but the black boads with list of the season plate. All of them seem so delicious that you cannot even decide. There are many choices from this restraunt and we recommend to choose something with seafood. 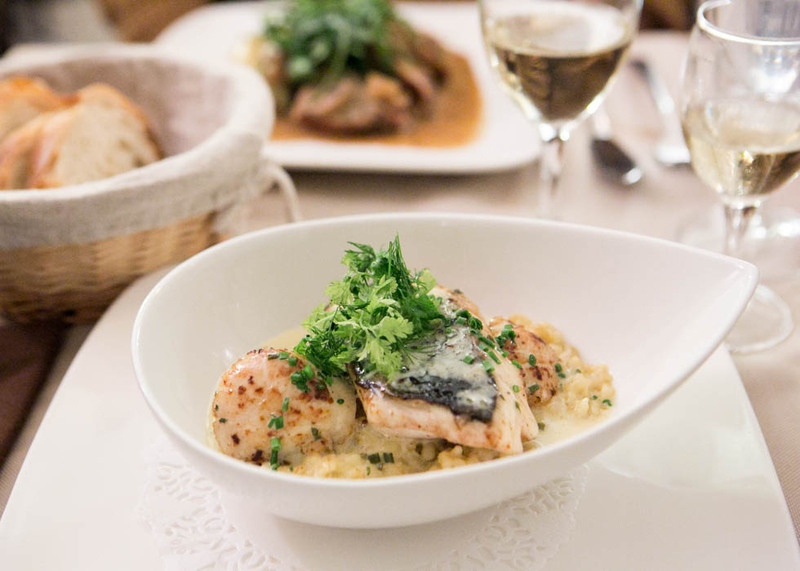 This plate is seabass, scallops with white sauce topped with chives. The town centre closed to the sea is also pretty and worth to visit. 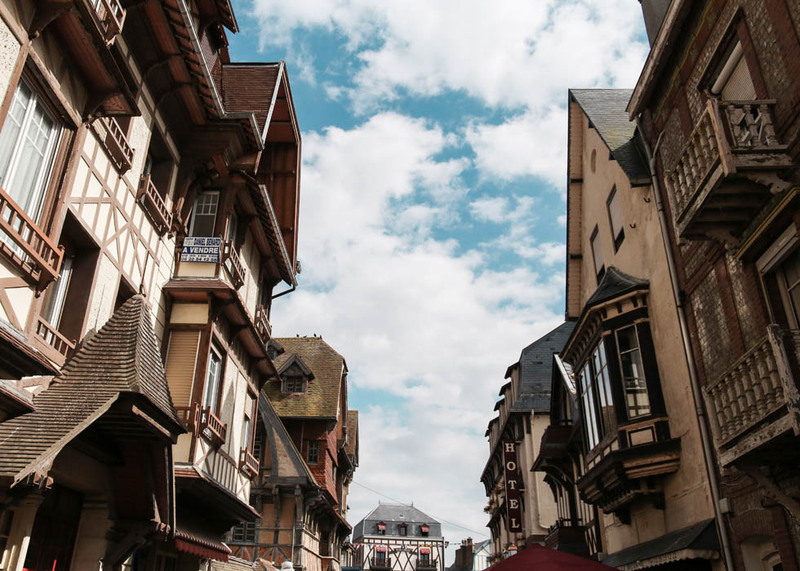 There are many interesting half-timbered houses and an old market hall on Place Foch. These wooden old houses are called Colambages in French and it's one of the unique things in Normandy. There are some restaurants, souvenir shops, and casino as well. If you take the bus, the bus stop is just after the town centre, next to the tourism office. 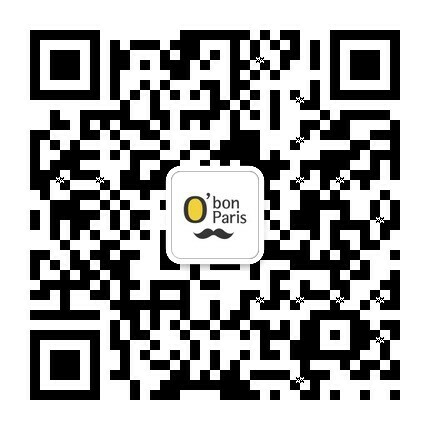 You can go to Le Havre, Fécamp, etc. 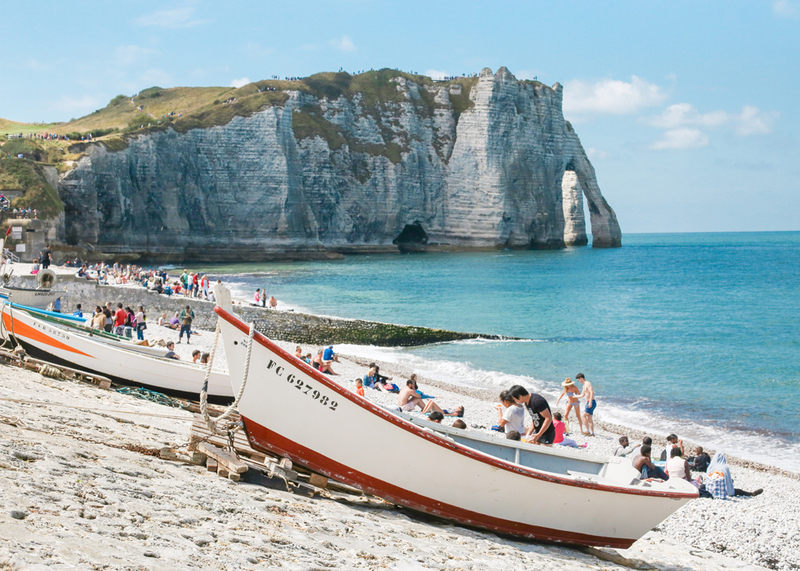 In summer, people visit Étretat to enjoy the view, activities such as hiking or marine sports, and in contrast in winter, there are less people. Then it's a good chance to have a peaceful and tranquille time with your lovers or partners. The color of the sea is more blurry which makes the scene even more like the paintings. Just remember and check that some restaurant could be closed after vacation period.